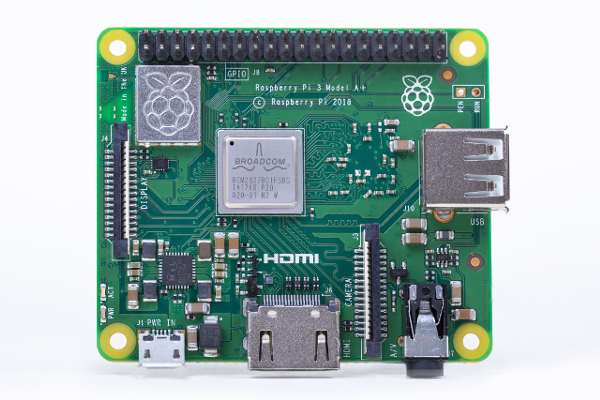 Raspberry Pi 3 Model A+ with 1.4GHz 64-bit quad-core CPU, 512MB RAM, Bluetooth 4.2 and Dual-band WLAN goes official. Raspberry Pi Foundation just announced their latest affordable single-board computer: the Raspberry Pi 3 Model A+. You can now get the 1.4GHz clock speed, 5GHz wireless networking and improved thermals of Raspberry Pi 3B+ in a smaller form factor with the Raspberry Pi 3 Model A+. Like its big brother, the entire board is certified as a radio module under FCC rules, which in turn will significantly reduce the cost of conformance testing Raspberry Pi-based products. The Raspberry Pi 3 Model A+ is now available to buy for $25.